Property 7: A Relaxing Getaway One Mile From Sandy Beach At Bantham, Nr. Salcombe, S. Devon. Property 13: Lovely Mews Cottage. Close To Village & Beach, Sunny Garden. .
Property 15: Contemporary New England Apartment With Private Entrance In Kingsbridge, Devon. 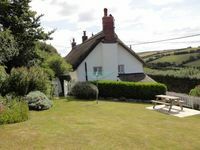 Property 17: Charming coastal cottage - close to beach & coast path. Newly re thatched! Property 18: 3 bed lodge just outside Salcombe, South Devon. Refurbished 2019. Property 28: A truly unique hideaway on the banks of the Salcombe estuary. Property 31: Apartment With Sea Views Of South Sands Beach, Salcombe With Parking for 2 cars. Property 36: Holiday on a Converted Cider Farm with indoor pool, tennis court and playroom. Property 37: Converted barn in peaceful, rural South Hams location close to Dartmouth. Property 44: Delightful two bedroomed lodge in a beautiful, quiet peaceful location. Property 46: Beautifully tucked away in the heart of town. Property 49: Stylish Beach Cottage Sleeps 4 - 6, just 85 mtrs from sandy 'Blue Flag' beach.